I made these salted caramel cupcakes for our Public Services potluck party this week. I purposefully made them mini cupcakes, because at parties where there is tons of other food, I’ve noticed that people don’t want big cupcakes. They were a huge hit! Definitely keeping them on the list for the future. 4. Fill cupcake liners 3/4 full and bake for 18-22 minutes, or until knife comes out clean. 6. 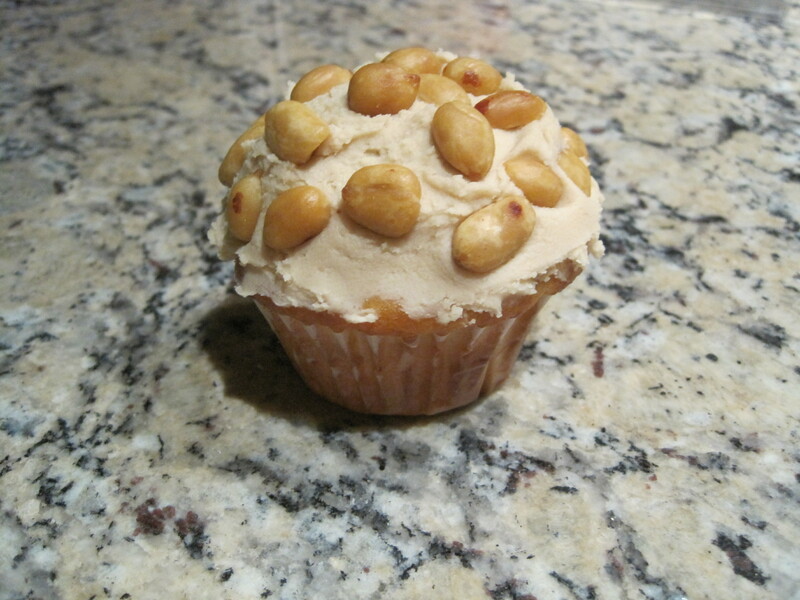 Add icing to cupcakes, top with peanuts. Recipe modified from Your Cup of Cake.